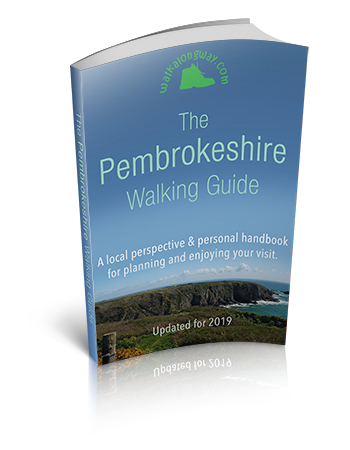 A group of us, led by Colin, walked around the coast path near St, Davids to see if we could spot any of the wonders of Pembrokeshire this time of year, baby seals relaxing in the quiet bays. Well we were not disappointed as the were plenty about. The babies spend their first couple of months on the beach with the mothers heads bobbing out of the water keeping an eye on them. Walking the path, just before St, Justinian’s, there are cave under the cliffs. As you walk along the path listen out for the strange screaming sounds coming from the caves, they can sound very spooky and have been mistaken for the ghosts of past Pembrokeshire smugglers, but are in fact the baby seals calling for their mum. The seals go into the cave to have their babies. Get out there and check it out, great experience. 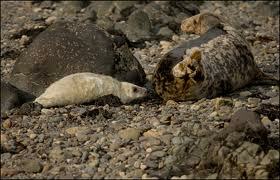 If you would like to experience our famous Seal watching between August and November contact us for more information.